In our last post, we presented a case study on a direct mail pack with a story many of us hold near and dear to our hearts. The story doesn’t end when your pack hits mailboxes. You still have some work to do – writing a passionate and personal thank you letter. 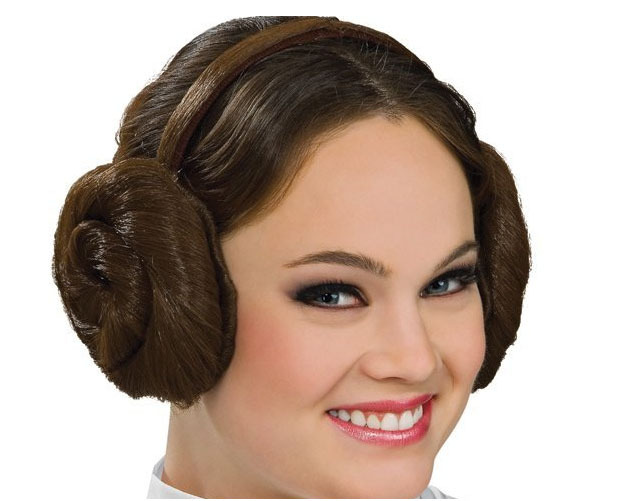 Once more, Rory Green has donned her cinnabon’s and has channelled Princess Leia to share with us one example of a wonderful donor-centred thank you letter. Your support is like a light, and light is precious in a world so dark. Thank you a million light years over for what you have done for the rebel alliance, and for being a part of the battle to defeat the dark side. When you were most needed, you stepped up and lent a hand. Thanks to your generous gift of $1000 alliance credits, Luke is now in the midst of his training that will help us all, once and for all, defeat Darth Vader and the dark side. Your generosity is out of this galaxy. Master Yoda has sent word that Luke’s training is going very well. He is on his way to mastering light sabre combat, and learning the ways of a Jedi master. Luke progressing in his understanding of the ways of the force – just yesterday he lifted an entire X-wing fighter! Amazing! And none of this would be possible without you. Luke’s training gives me hope, just as you give me hope – hope for a tomorrow that will be better and brighter than today. Hope for a world of freedom, and peace. You have given this precious gift not just to me and Luke, but to countless younglings across the universe. They may grow up never knowing the darkness and tyranny we know now. And for that, Joan, I am so grateful. When I last wrote to you, I told you about my father, and how much I miss him. I told you that I would give anything for one more hug from my father. We both know that will never happen. I will never again feel the comfort of his embrace. But I do feel the warmth of your support. I feel it, as a Jedi feels the force. Your generosity surrounds me with energy, it binds us together. Joan, knowing I have your support, will provide me comfort in the days to come. You keep me strong as I prepare once again to do battle. If you wish, feel free to email us with how your inner Princess Leia would have written it. Love these truly good and fun examples. Keep them coming!